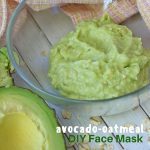 Stir together the citric acid, baking soda, corn starch, and epsom salts. Add the yellow food dye directly to the coconut oil and carefully stir into the bath bomb mixture. Slowly add you water and check the consistency of the bath bomb mixture - it should have a consistency close to wet sand. 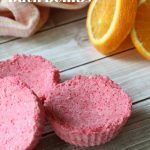 Adjust the coloring and consistency before moving onto shaping your bath bombs. 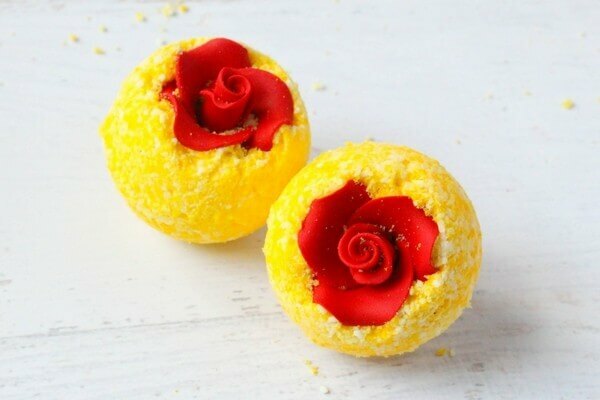 Place the rose candy directly in one half of your bath bomb mold. Press 2-3 Tablespoons of the bath bomb mixture ontop of the rose candy and fill the other half of your mold. Press the two halves together and twist to release. I like to let the bath bomb dry for about 15-20 minutes before removing it from the mold to dry completely on a baking tray. 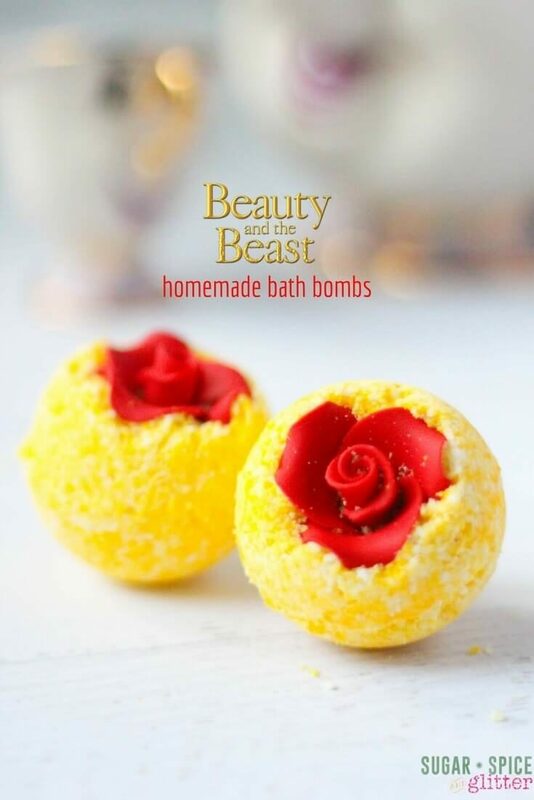 If your bath bomb doesn't shape (crumbles or falls apart) it could be because you didn't pack enough of the mixture into the mold, or the mixture is off (too dry or too wet). Adjust things slowly - after you successfully make a couple batches it will be second nature - just like baking! 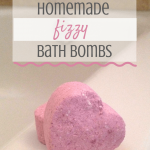 My daughter loved these special DIY Belle Bath Bombs – and so did I! They would make the perfect gift for any Disney lover or a special treat before or during your Disney vacation. 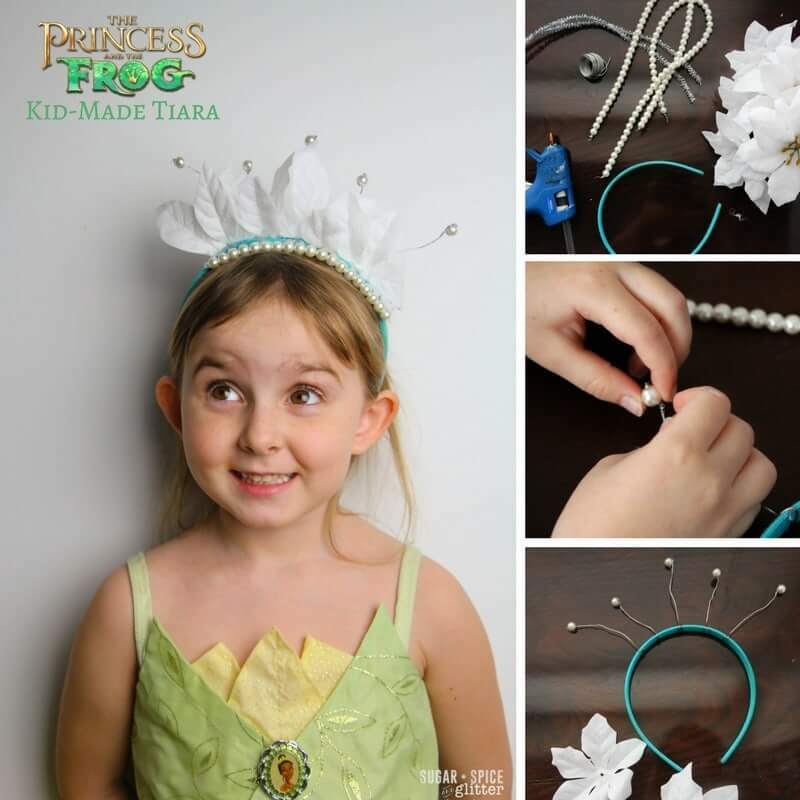 For more Disney DIYs, check out our DIY Tiana tiara or our Jasmine-inspired Bangle Craft. Those are adorable!! 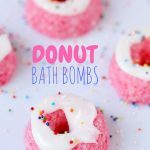 I really want to start making bath bombs. 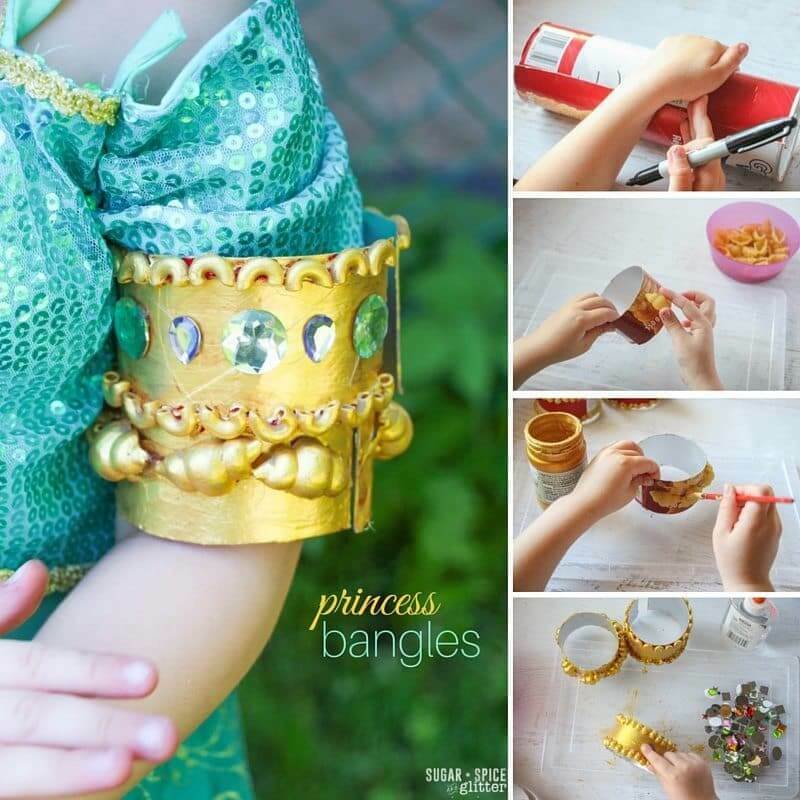 They look so easy to make, and the options are endless. Where can I find the molds? 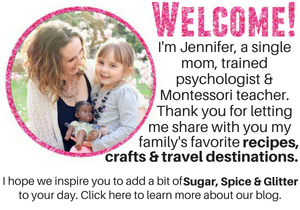 If you look at where I first list the materials (not on the printable) – I included a link to where you can order them from Amazon. Absolutely if you were soaking in a sugar water solution it could cause issues, but the small less than a half Tablespoon of sugar per 35-50 gallons of water that the average bath holds is not going to cause a UTI. Same goes for the baking soda used in the bombs. 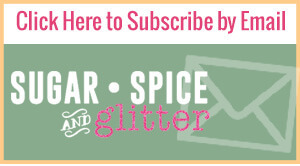 If it’s not for you, skip it – there’s no hard feelings here!